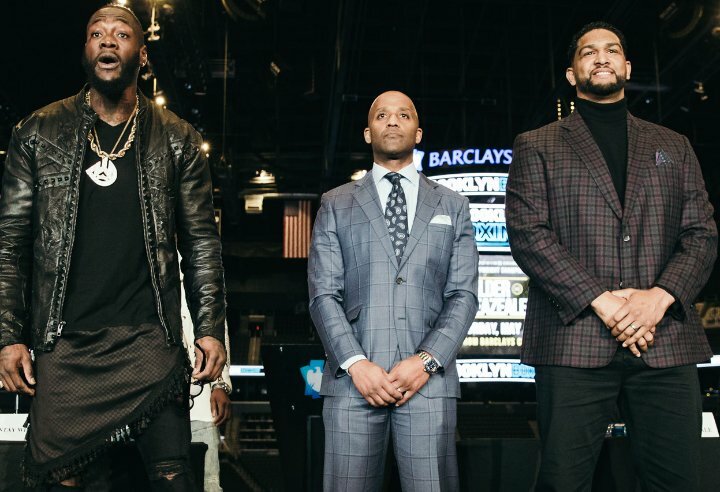 WBC heavyweight champion Deontay Wilder 40-0-1 (39) will defend his crown against mandatory contender Dominic Breazeale 20-1 (18) at Barclays Center in Brooklyn, New York on May 18 live on Showtime. The pair came face-to-face at a press conference to announce the event on Tuesday. “It’s always great to get a mandatory out of the way. They’re like flies buzzing in my ear. I just want to get them out of the way so I can do great things for the heavyweight division,” Wilder said. The 33-year-old ‘Bronze Bomber’ insisted he is still interested in facing unified heavyweight champion Anthony Joshua 22-0 (21) who will face Jarrell ‘Big Baby’ Miller 23-0-1 (20) at Madison Square Garden in New York on June 1, exactly two weeks after Wilder faces Breazeale in the same city. Breazeale said he is looking forward to shutting Wilder up. “I’m sick of seeing this guy walking around with his belt. I’m going to put him down. People are going to be rising to their feet when I knock him down,” Breazeale said. “Deontay does nothing right in the ring. He looks like a circus-act. All he does is talk. But there’s nothing he can say on May 18. Deontay loves to hear his own voice. All he does is talk and talk.